Yesterday I returned home to find lots of cones being placed near the roads where cars are parking. We lifted one up to find a hole, no doubt for one of the new signs that will explain the parking restrictions that will come into full force on Monday 19 August. Have you got your permit yet? I went down to the City Offices last week Monday early afternoon and it was a doddle. All I needed was the filled out form (which you should have received in your mail by now), the car registration certificate (to proof car ownership) and our council tax bill (for proof of address). I didn't have to wait for very long and the lady dealing with our request was very friendly. We got one permit for £22 for ourselves and 10 scratchcards (costing £1 each) for visitors. While of course I'd rather not spend money on parking, the only two things I really don't like are a) the fact that the scratchcards are only valid for a year just like the permits and b) that you cannot actually use our Zone 3A permits to park in other parts of town with parking restrictions. 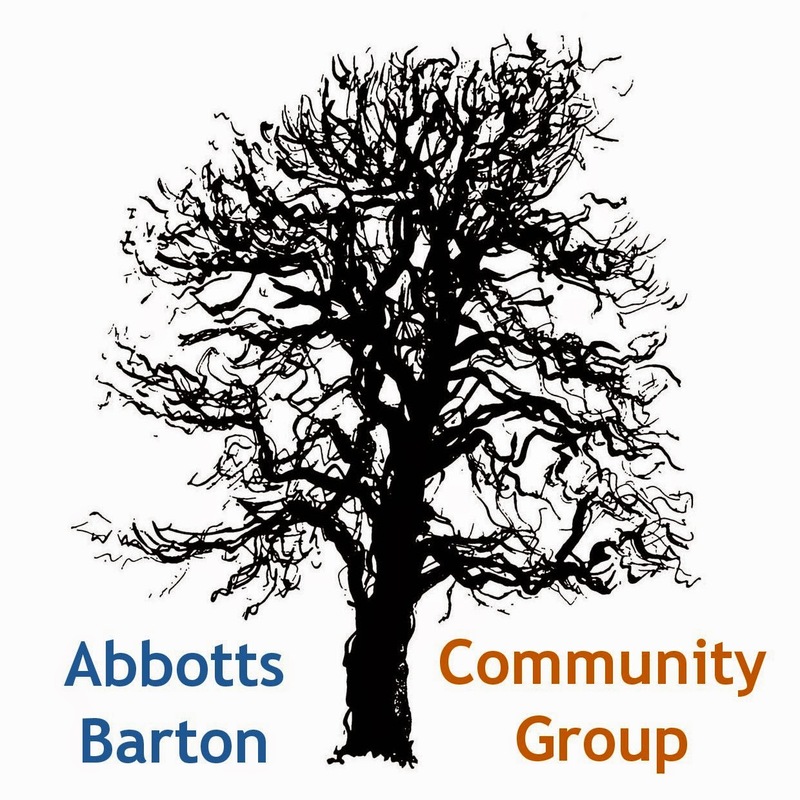 I wasn't aware of this but a meeting between police officers and residents of Highcliffe, Winnall, Hyde and Abbotts Barton took place on 23 July: Biggest concern in Winchester is thuggish behaviour. More from the King's Worthy A33 situation: Councillor calls for results of speed checks on dangerous Winchester road. 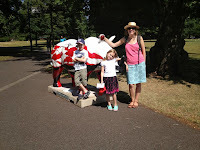 I know I've mentioned this before: the Go Rhinos! trail - but I can't recommend it enough now that we've actually done a part of it. 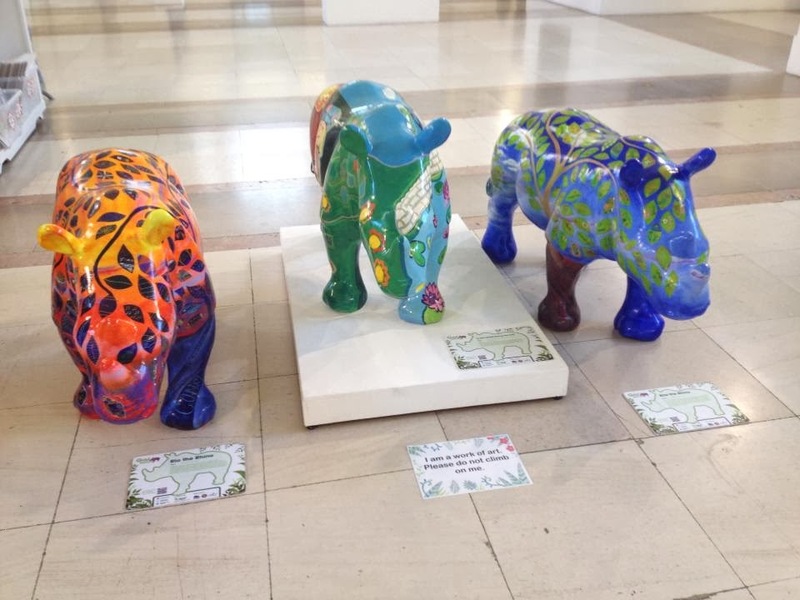 We went by train to Southampton and just coming out of the station there are lots of rhinos to be found (hint: don't neglect the City Library and The Marlands shopping centre). 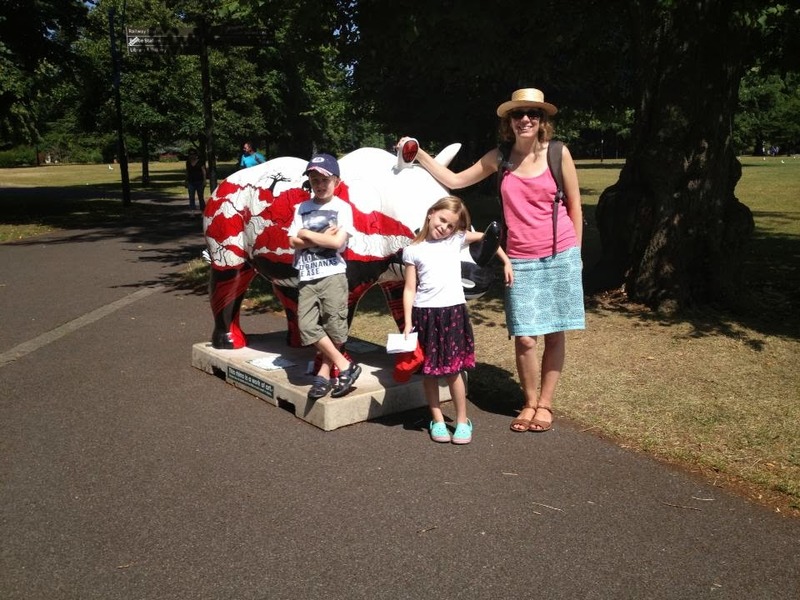 We got to walk through all of these lovely parks in the centre of Southampton that I never knew existed and the children just loved discovering the rhinos. There is also a brand new and exciting play park in one of the parks! Bring a picnic and something to sit on and you'll have a wonderful and cheap day out. If you have a car, then close-by Farley Mount Country Park is also brilliant to pass some time in the fresh air. We had a picnic and played hide and seek for two hours at the horse monument and then we moved on to the (unadvertised) play area in the woods and could have easily stayed there another two hours if it hadn't been for time restrictions on our end. Do you like to go out into the forests? Here's how to build the perfect den and also some information about an interesting sounding visitor/community centre in the Lake District built in the forest. Fracking has been in the news big time over the last weeks (we also talked about it in the Councillor's Surgery) and it might start in the Winchester neighbourhood as well, see a graphic from Greenpeace about licenses being issued in the UK. I'm sure you wouldn't like this: Fracking firm Cuadrilla trespassed on private land for geological surveys. And of course: fracking will meet resistance from southern nimbys, minister warns. A guide to 'good' and 'bad' biscuits, depending on whether they contain palm oil (the production of which is a big factor in losing more and more naturally grown rain forests). If you would like to contribute to this blog or our Facebook page, please let me know via the comments below or by email (see Contact tab), any help is welcome. 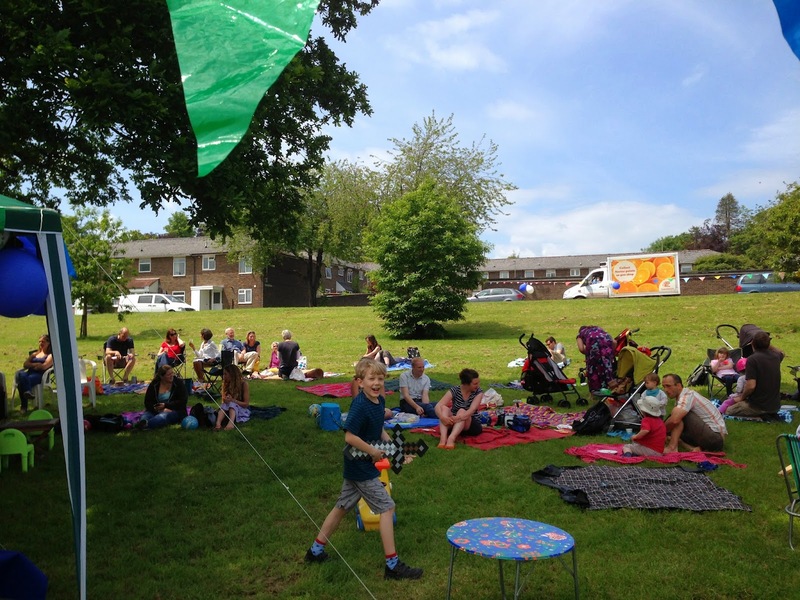 This could be the last proper post on this blog before school starts again in September; if I don't manage to post anything about the picnic on Sunday: have a good second half of the summer holidays and don't forget there will be another Councillor's Surgery on Thursday 5 September!